apprenticeship Archives » Dogsbody Technology Ltd. Here at Dogsbody HQ we have found one of the the best ways to grow our business and get the skills we require is to run an apprenticeship programme. We interview throughout the year looking for the keenest candidates. Having hired 7 apprentices over the past 5 years and interviewed many many more we thought we would share with all our future employees what we take away from your first impressions. The world of work can be a scary prospect and completely different to your school and college days. Submit your CV in PDF; It means your prospect employers sees it the way you intended – send it in .doc or .odt and it can lose its formatting. Use an appropriate email address; bigcheeks@example.com may have been appropriate for your Amazon account but not for your CV. Email addresses are free, get an appropriate one. Set a Voicemail message – If the default VM message is just your number how do I know I have reached the correct person? Make sure you set a message like ‘you have reached the mobile of (you). Please leave a message’. It’s potentially your first full time job (but we hope you have done something else) so make sure you tell us what you have done – in your CV preferably. Dogsbody Technology give every applicant a telephone interview… why? Because we once hired someone whose CV never mentioned anything about all of the technical things they had done – it was only in the telephone interview they mentioned them – if we hadn’t called we would’ve never known! Work experience – Work Experience is invaluable – It doesn’t have to be in the field you are applying for a job in now (IT for us) but it shows so much. The classic ‘Saturday job’ is still a strong tick in the box. If you have tinkered with tech – You earn big points if you tinker with tech – get a Raspberry Pi, Install Ubuntu on your laptop, even AWS servers are pennies to run – don’t just follow the guides parrot fashion – Explore, find out what the commands you are typing actually do! An apprenticeship is about learning on the job and practical experience. When they don’t teach this stuff in school we want to see you are keen to teach/learn yourself. Playing games is not an interest in computers – Sorry but its a hobby, unless you want to be a games developer or games tester than playing computer games is not an interest in computers. We all play computer games at Dogsbody Technology but it doesn’t help us be a Sysadmin 🙂 List it under hobbies. Grades aren’t everything – Your teachers will hate us for saying this however unless you want to be a doctor or have to get specific grades for a college/uni course then if academia isn’t your thing don’t worry. Apprenticeship are designed to be for the practical among us. To do an apprenticeship you need Maths and English at grade C (4 in the new system) or above, but even if you don’t have that you can do a key skill module during your apprenticeship to get you there. Potential is essential – What we do isn’t taught in schools/college so we don’t expect you to know it all but we do expect you to be passionate about tech. We are very happy to announce the expansion of Dogsbody Technology with the addition of Jim Carter. 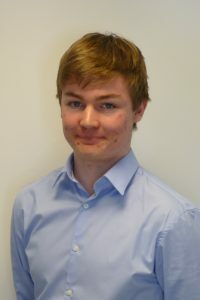 Jim is Dogsbody Technology’s 5th Linux Systems Apprentice and comes with a lot of passion for maths and learning. Having started studying physics at university Jim decided a Linux Apprenticeship was more for him. He is one of the only applicants to complete one of our hardest interview tests. Jim will be helping with first line support and maintenance before taking part in projects of increasing levels of complexity (and fun!) as he progresses through his apprenticeship. We’re still looking for more talented people to join us here, could you be our 6th apprentice? 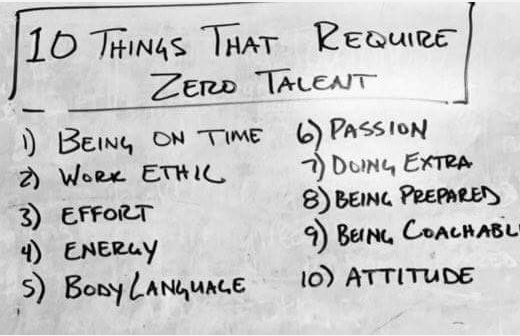 or do you have a skill you think we can use? We are very pleased to congratulate Rob Hooper on completing his Linux Systems Apprenticeship. We are even more pleased that Rob has chosen to continue his career with Dogsbody Technology as a permanent member of staff. Rob is now looking forward to continuing his education with professional qualifications from Amazon Web Services (AWS) and the Linux Foundation. We are pleased to announce the expansion of our team in the form of Gary Rixon. 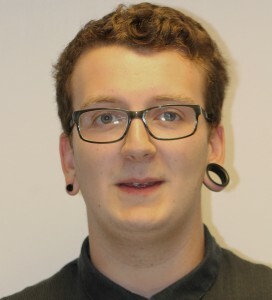 Gary will be joining us as a Linux Systems Apprentice and brings with him a real passion for servers and hardware. A bit of a nerd with a love of the outdoors, Gary can typically be found tinkering with computers and servers, or helping out at his local scout group. He recently returned from an awesome trip to Belgium with the scouts. In the previous two years, Gary has been studying Computing, Physics and Maths at A-level, but his main focus has always been to get into the world of Linux and servers, so he brings with him a solid base of knowledge and the drive to learn more. Gary will be taking over first line support from Alex, and taking part in projects of increasing levels of complexity (and fun!) as he progresses through his apprenticeship. We’re always looking for new members to join our team, so go and check out what jobs we have available or tell us about your skills if you think you’d be a good fit at Dogsbody Technology. https://www.dogsbody.com/wp-content/uploads/7K0A0686-e1452873459280.jpg 680 2000 Dan Benton https://www.dogsbody.com/wp-content/uploads/Dogsbody-site-logo-1.png Dan Benton2014-11-30 13:42:202014-11-30 13:42:20Welcome Gary Rixon! 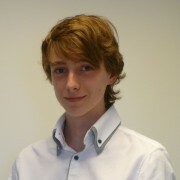 We are very pleased to congratulate Alex Last on completing his Linux Systems Apprenticeship. 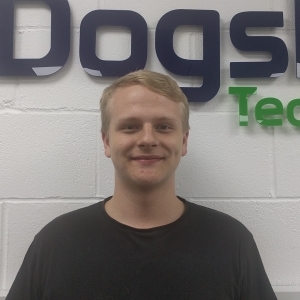 We are even more pleased that Alex has chosen to continue his career with Dogsbody Technology as a permanent member of staff. Alex is now looking forward to continuing his education with professional qualifications from Amazon Web Services (AWS) and the Linux Foundation.